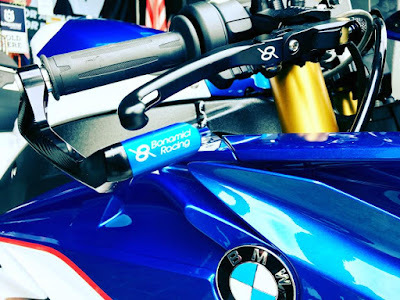 Bonamici Racing lever protection (with optional peg color in Blue, Gold, Red or Black). Feels the different when you change to Bonamici Racing aluminium brake lever and clutch lever. Available at SBK Motoworks Racing Store.